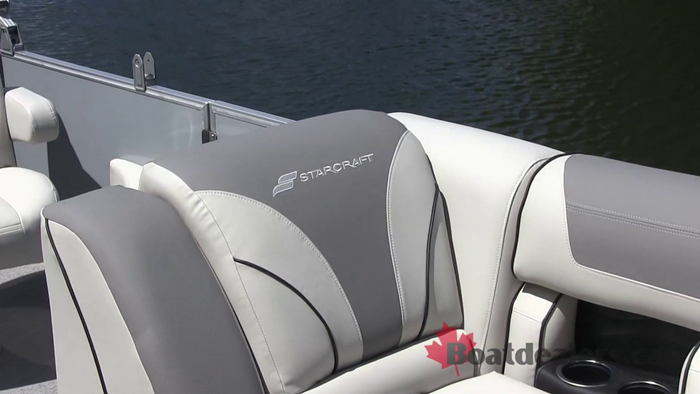 The Starcraft EX 22 R makes an immediate bold statement proving that good looks, generous comfort and great performance can still be found at a great price. 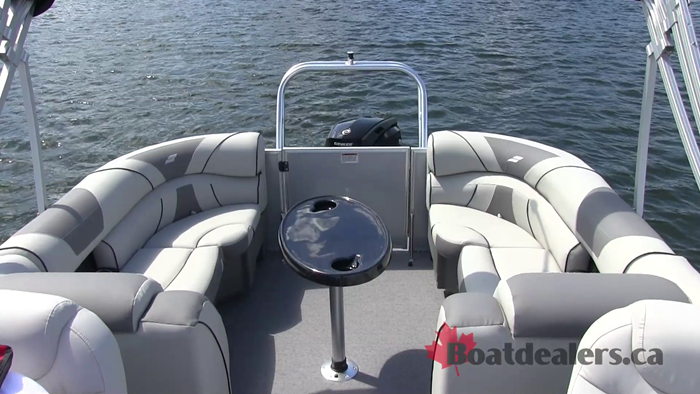 This pontoon design offers plenty of space for friends and family, all the right features for water sports enthusiasts and enough creature comforts to ensure that you can start your day on the water early and end it as late as you desire. 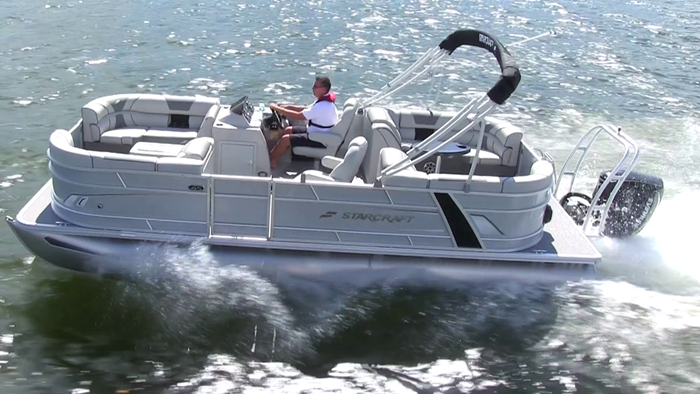 At just shy of 24’ overall there’s plenty of boat here with the EX 22 R. The center mounted rear gate delivers easy access whether boarding at the dock or re-boarding from the telescoping four step ladder. 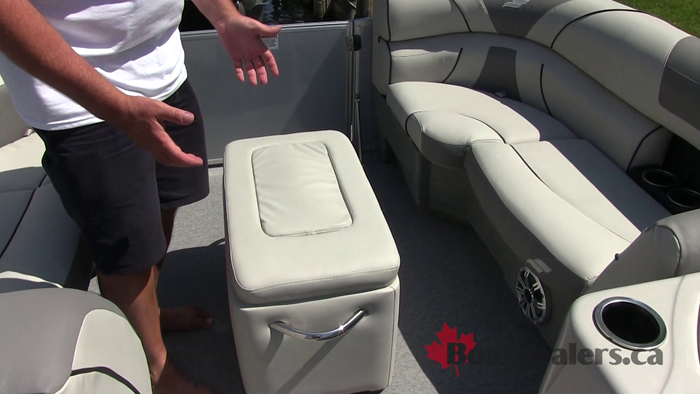 The center design creates space for two very functional and wickedly comfortable, rear lounging areas. 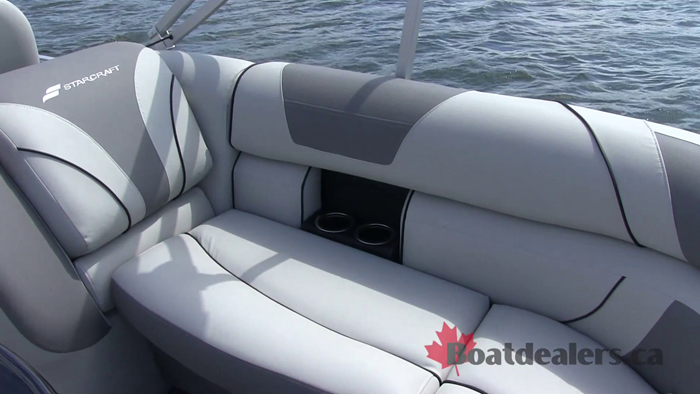 Up in the bow area our test boat featured the optional gate seat and cooler table and I was very impressed by the number of recessed cup holders set into the bow and stern couches of the boat. 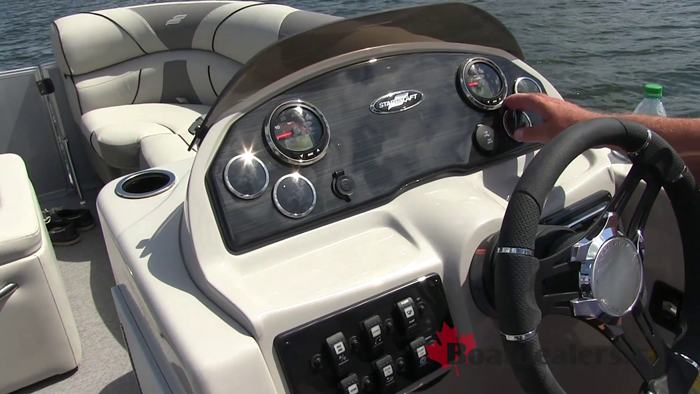 Docking lights are standard and are easily accessible from the well-appointed helm station. Starcraft offers a lengthy list of options so you can make the EX 22 R your very own including eight different colour options, multiple flooring choices, a selection of tube designs and a variety of canvas options. And they back it all with their limited lifetime +6 year warranty. 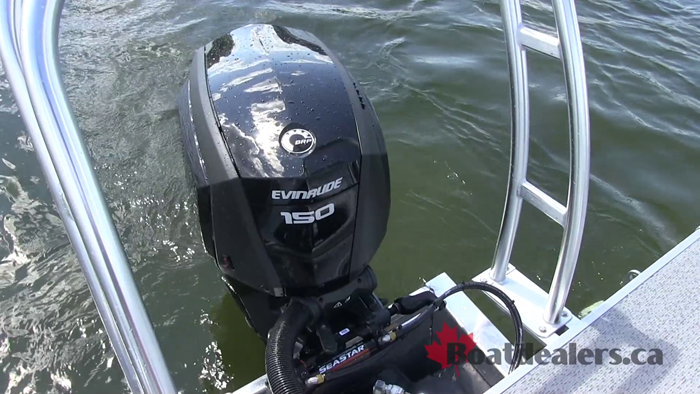 If you’re looking for style and performance in an affordable package, be sure to check out the Starcraft EX 22 R.